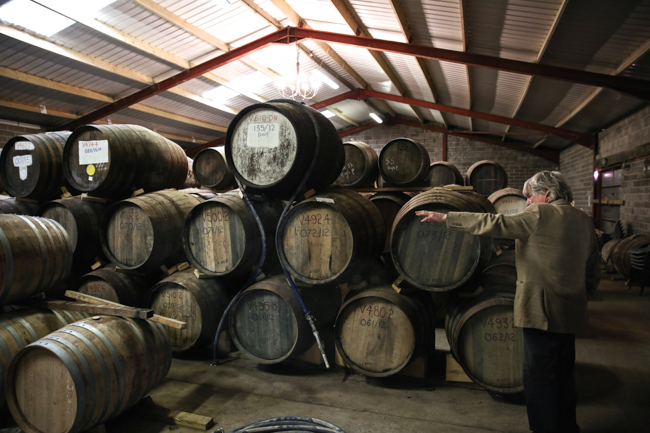 About two years ago, my colleague Jeff Jones and I followed a tip out into the English countryside and met up with Julian Temperley, the man behind the Somerset Cider Company and a distiller of fine apple spirits as well. We were impressed by both his mature brandies and his fine apple apperitifs, so we decided to do some business. After a long and drawn-out process of getting the right bottles, working on label approval, and surviving the Brexit scare, we're almost ready to unleash our first small shipment of apple brandy from Western England.